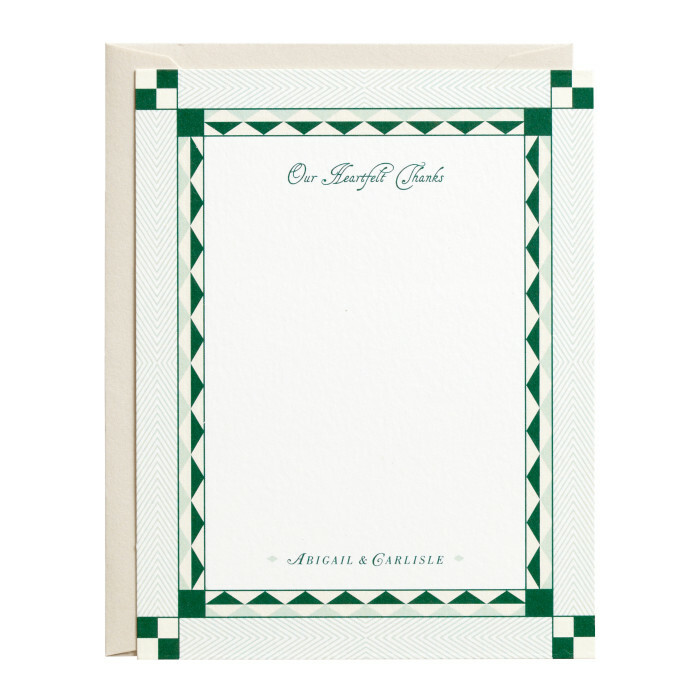 The Carlisle Thank You Card is composed of multi-colored decorative borders— a checkered diamond and a delicate chevron— framing the space for a personalized note. Exciting and full of visual movement, this piece will leave your guests with a lasting impression of your wedding. This piece is flat printed single-sided on luxuriously thick cover stock with a subtle eggshell textured finish. $484 for 100 flat printed Thank You Cards and matching matte colored Envelopes.